Ann McCorkle Wilkinson, age 79, of Waxhaw, NC, passed away Friday, August 17, 2018 at her residence, surrounded by her loving family after a lengthy battle with cancer. The family will receive friends from 6:00 PM to 8:00 PM, Monday, August 20, 2018 in the Dogwood Room at Davis Funeral Service, 1003 E. Franklin St., Monroe, NC. A Celebration of Life service for Ann will be held 1:00 PM Tuesday, August 21, 2018 at the Bonds Grove Campus of Weddington UMC, 8215 Bonds Grove Church Rd, Waxhaw, NC, officiated by Rev. Ed Briggs and Rev. Amy Hutchison. Interment will follow in the church cemetery. Ann was born in Charlotte, NC on September 16, 1938, daughter of the late Frank Houston & Shirley Reid Miller McCorkle. Mrs. Wilkinson was valedictorian of her 1956 Waxhaw High School senior class and retired from Duke Power Co. after 27 years of dedicated service at their Waxhaw office. After retirement she has enjoyed baby-sitting, pet-sitting and helping her daughter in her cleaning business. 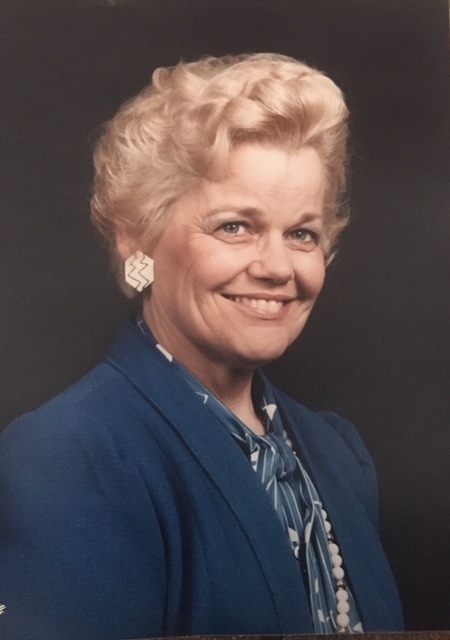 Ann was a life-long active member of Bonds Grove UMC, what is now the Bonds Grove Campus of Weddington UMC, serving as church secretary for many years and holding many positions within the church and UMW throughout her life. She was an avid sports fan and a true UNC-Chapel Hill basketball enthusiast. Ann was also known for her generosity of cooking meals for the sick and bereaved. Her family was the light of her life and loved spending time with them. Mrs. Wilkinson is survived by her three children, Jim Wilkinson and wife Evelyn of Norwood, NC; Barry Wilkinson of Nashville, TN; Jenny Ann Wilkinson of Fort Mill, SC. Grandchildren, Beth Kluth and husband, John of Monroe; Tiffany VanDeventer of Davidson; Adrian Parry and husband, Kevin of Midland; Chris Wilkinson of Nashville, TN. Eight (8), great grandchildren: Emma & Cameron Kluth; Addison & Kinsley Parry; Lily, Hadley & Miller VanDeventer; Landon Wilkinson. Great-great grandchild, Dallas Karnes. She is also survived by brother, Larry McCorkle Sr. and wife Judy of Amelia Island, FL; sisters, Betty Tysinger & Sandra McCorkle, both of Waxhaw and long-time cherished friends, Gladys Rogers and Lynn Stikeleather. Many thanks to her close friends, Gladys Rogers, Brenda Reid, Donna Pressley & Matt and Karen Webster, for all they did for her during her illness. Although flowers are appreciated, the family request that memorials in Ann's honor be made to Weddington UMC, 13901 Providence Road, Weddington, N.C. 28173 or St. Jude Children’s Research Hospital, 501 St. Jude Place, Memphis, TN 38105 or Hospice of Union County, 700 W. Roosevelt Blvd., Monroe, NC 28110.